At Brook Field we offer a holistic curriculum that engages all senses. Our unique and creative curriculum provides a wide range of multi-sensory experiences, which engage motivate and inspire deep learning, and inspiration for life-long learning. At the core of our curriculum provision is the National Curriculum and the progression of key skills for each subject taught, ensuring our children receive a progressively challenging and engaging education that is personalised for Brook Field Primary School. The roots - are the life-long skills rooting the child; with the attitude to learn whatever the conditions, with greater confidence, competence and curiosity to face the uncertainties that life will surely present. The trunk - is the knowledge; the National Curriculum and key skills in every subject taught. The branches and leaves - the quality of the children's learning experience. The highly engaging, creative and multi-sensory experiences developed for our children. The curriculum is taught with the consideration of the needs of all learners, making sure that we nurture children's well-being. Outlined below are the generic skills that we are striving to develop throughout all the teaching and learning experiences which we provide. To present a common language, enable a consistent approach throughout the school and make these learning behaviours explicit to the children, we have developed associated images. 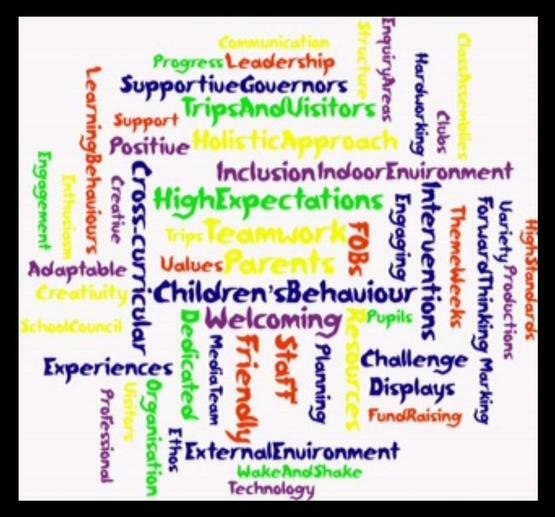 See Learning Behaviours section of our website. For the content and details of the National Curriculum please click on the link below.